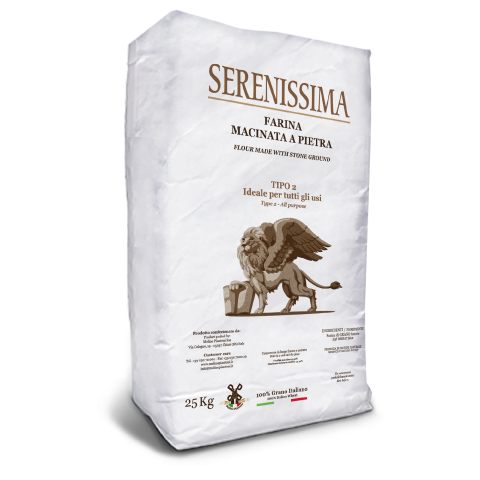 This flour is extracted by stone grinding of exclusively Italian grain. The special milling keeps all proteins, fibers, trace elements and minerals of the grain of wheat intact. “Suitable for highest bread, pizza and cake quality.